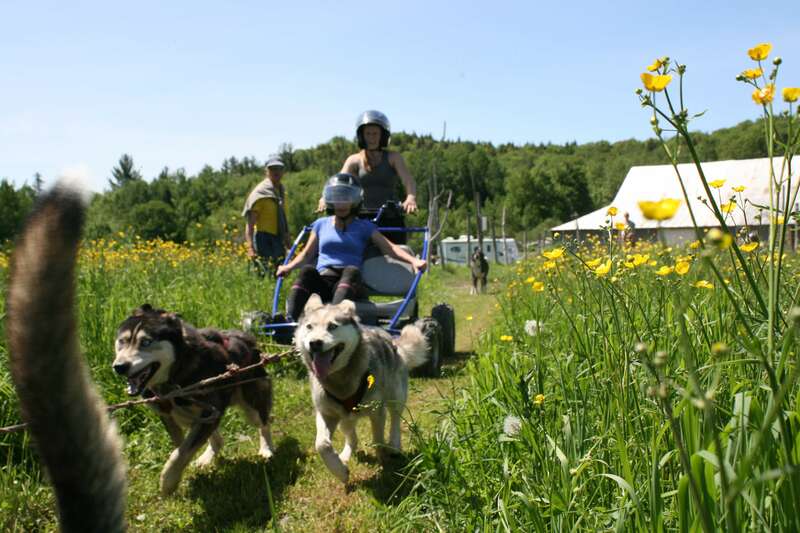 Cani-kart is a traction sport on wheels with our huskies, perfect to experience dog sledding in the forest when the snow is gone! Starting with a safety briefing, you will learn how to approach dogs safely and then you will meet the Pack with your guide. A demonstration of various types of dog training will follow, ranging from free play to pursuit and the different traction sports. After, you will experience a 20-30 min Cani-kart ride driven by your guide through our trails in the forest.